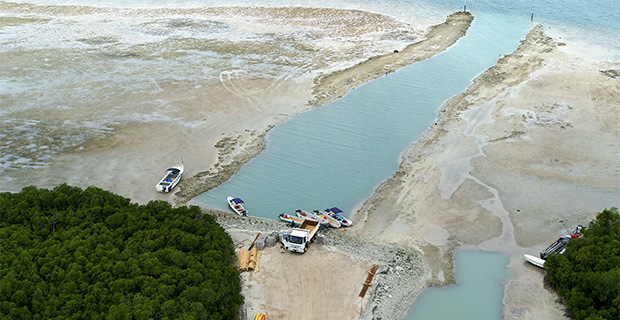 The Minister for Environment and Waterways Dr Mahendra Reddy has confirmed that works were still being carried out by Freesoul Real Estate Development(Fiji)Ptd Ltd in Malolo Island despite the prohibition and stop work notices. He says they were waiting for the DPP to take action after they gave these notices. Dr Reddy says Freesoul was given a number of very stringent conditions to fulfill before works begin on site, and all foreshore development works were not permitted. He says these conditions have been breached. Under the Environment Management Act 2005, if convicted, the company and its Directors face fines of up to $750,000 or a term of imprisonment of up to 10 years, or both. We have questioned the Office of the DPP if they have identified the individual directors. We are still awaiting their response.